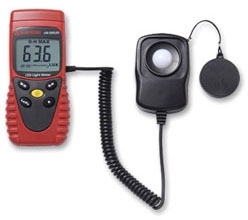 A light meter is a device used to measure the amount of light. ... 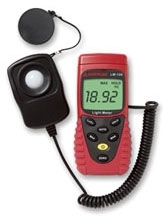 Typically a light meter will include either digital or analog electronic circuit, which allows the photographer to determine which shutter speed and f-number should be selected for an optimum exposure, given a certain lighting situation and film speed.